We have reviewed the effects of long-term climatic/oceanic conditions on the growth, survival, production dynamics, and distribution of Hokkaido chum salmon Oncorhynchus keta in Japan during the period 1945–2005 using path analysis, back-calculation, and scale analyses, and applied a prediction method based on the SRES-A1B scenario of the intergovernmental panel on climate change. The populations of Hokkaido chum salmon were found to have had high growth rates at age 1 year since the late 1980s. Path analysis indicated that the growth at age 1 year in the Okhotsk Sea was directly affected by warm sea surface temperature associated with global warming, with the increased growth at age 1 year resulting in higher rates of survival and large population sizes. Predictions on the global warming effects on the chum salmon were (1) decreased carrying capacity and distribution area, (2) occurrence of a strong density-dependent effect, and (3) loss of migration route to the Sea of Okhotsk, especially for Hokkaido chum salmon. We have also outlined the future challenges of establishing a sustainable conservation management scheme for salmon that include adaptive management and precautionary principles, as well as conservation of natural spawning populations and recovery of natural river ecosystems in Japan despite the warming climate. Prof. Masahide Kaeriyama is …. This article publication is sponsored by the Japan Society for the Promotion of Science (JSPS) in a Grant-in-Aid for Publication of Scientific Research Results (KAKENHI 252018). 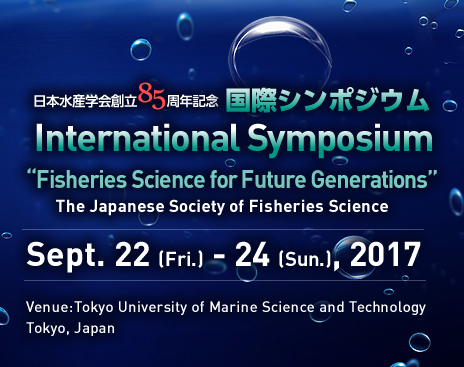 The authors and subjects of this publication project are selected by the Editorial Board of the Japanese Society of Fisheries Science for the purpose of distributing thoroughly useful research works in aquatic biological sciences mainly in Japan but hoping to eventually inspire worldwide interests.